Mr. Jean-Nicolas D’Hondt, you are one of the members of the Henokiens Association, could you please present yourself to our readers? > I’m 34 years old and I have a master in business administration. I am the 9th generation of the family running the business. I have joined our family business 3 years ago as Managing Director after having worked 8 years for an international company. > We are a chemical company specialized in Cleaning and Hygiene solutions. We were founded in 1763. 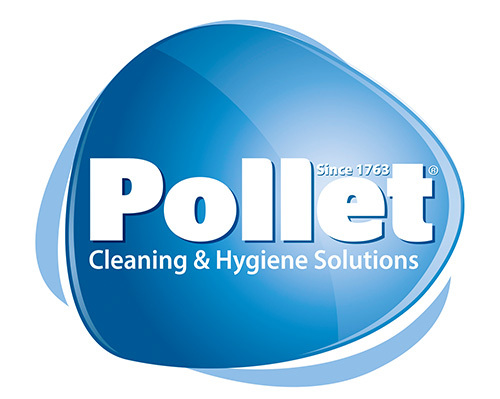 Today we provide and manufacture our own brand added value cleaning products that respond to all specific B2B needs. Since more than 20 years, we have specialized ourselves in biotechnologies where enzymes and bacteria’s drive better cleaning results than traditional cleaning products. We are also a strong leader in sustainable cleaning products with more than 45% of our production which is environmental friendly. Which have been the outstanding events for your company in the recent years? Could you give us some indications about your major projects in a medium or long term? > We strongly believe that we need to provide more service to our customers so that we sell end to end solutions. This service can probably not be given by ourselves only so we will have to develop partnerships to complete our offer and to differentiate ourselves from our competition. > There is no magic recipe but I think it is a mix of luck, values and effort. First we have had the chance to have the right person at the right time. The majority of the long lasting companies have been through hard times and it is crucial to have at that time a leader who can face the problems. Secondly I am convinced that even with strong leaders there is a need of fundamental values to drive the business. My opinion is that short term thinkers can rarely last long. And finally it requires important (working) efforts and a strong will to keep family business into the same family. Could you say that this extraordinary longevity is an asset in your customer relations? > I do not think it is an asset but it creates more trust. We need to sell efficient products that respond to the real needs of our customers. If our products are less efficient but made with a tradition of more than 2 centuries it will not make us better. However, it can be reassuring for our customers who can easily understand that we want to build long term partnerships. Did over the centuries the strong will of your family to keep its independence require very difficult decisions? > Of course! It is not easy to remain independent through all these years. Luckily compromises have always been found in order to keep the shareholders close and united. Is the transmission of the firm to a family member governed by clearly established rules? > No it is not the case as there is only one shareholder today. So there has been no real need to set strict rules in place but it could probably go into that direction in the future as the 10th generation is already more diversified. > No the next generation is not yet on the employment market. They are still too young and anyhow they need to be trained and educated in other companies than ours. So there is still at least 10 years to go before the next generation could join the company. But I will do my best to transfer the firm to the next generation as soon as we think it is needed.